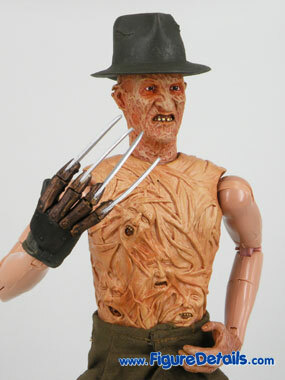 The first time I collect sideshow action figure is in 2006. 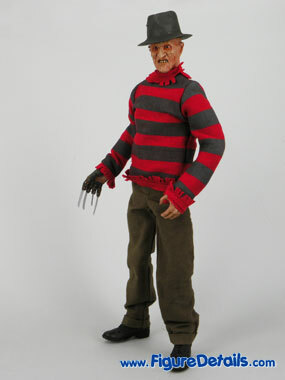 At that time sideshow produces a lot of good action figures with very good quality and price. 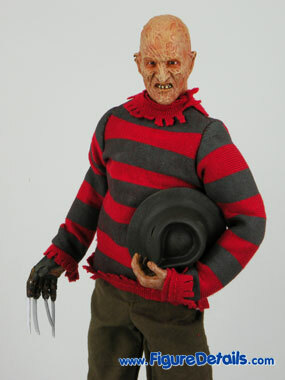 Freddy Krueger is one of them. 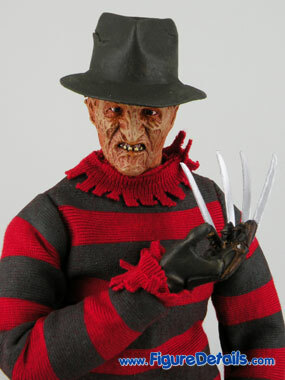 Look at the photos you know about it. 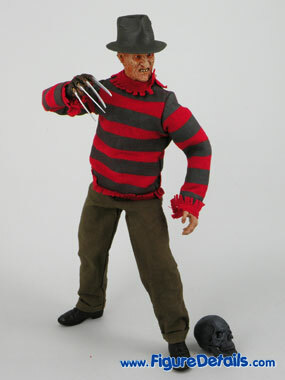 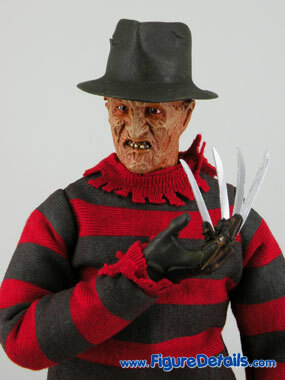 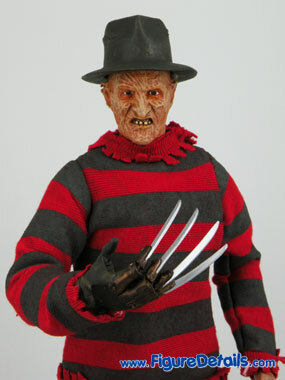 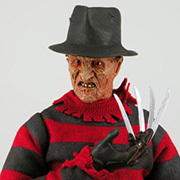 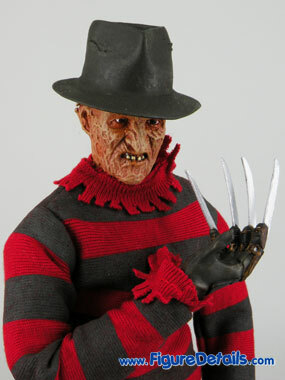 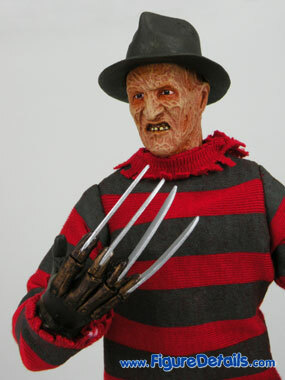 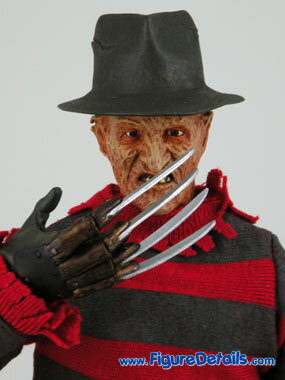 BTW, the fingers of Freddy´s gloved right hand is movable. 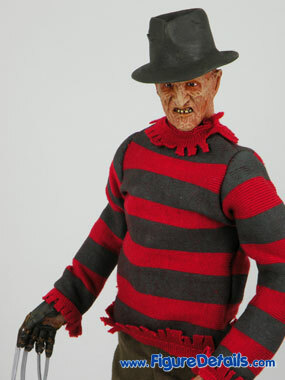 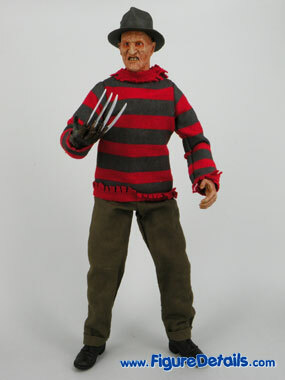 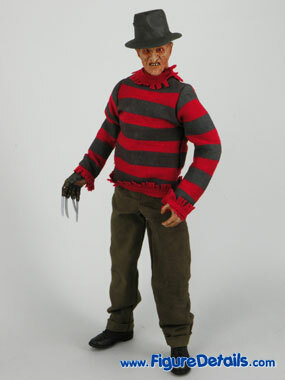 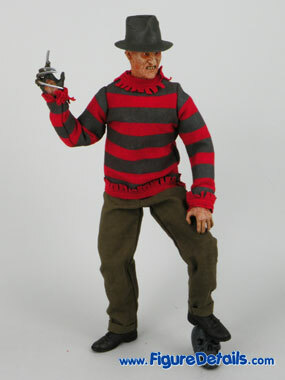 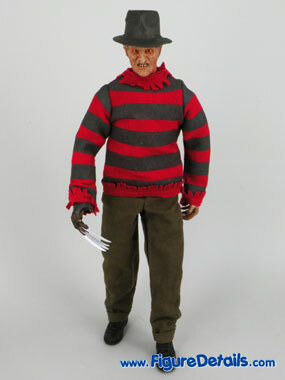 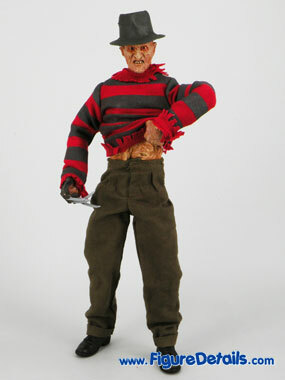 One of special feature of sideshow Freddy is the body. 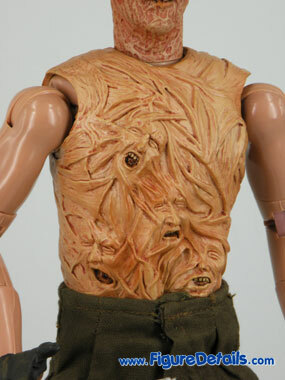 You can see the body come with special chest appliance - Chest of Souls. 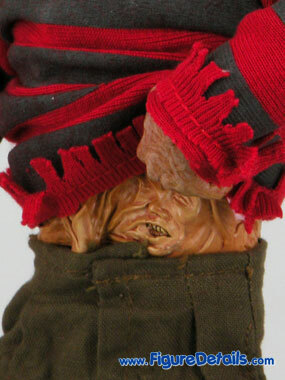 Just move the cloth a little bit up, then you can see it.